Dr. Sanz's research interest is in the role of B cells in human disease with particular emphasis in autoimmune diseases. Dr. Sanz is a board-certified practicing rheumatologist with major emphasis on systemic lupus erythematosus (SLE). 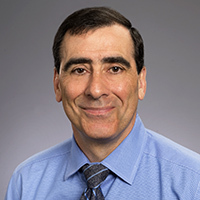 Ignacio Sanz, MD, is Mason I. Lowance Professor of Medicine and Pediatrics and Chief of the Division of Rheumatology at Emory University School of Medicine. Dr. Sanz serves as Director of The Lowance Center for Human Immunology at Emory University and the Children's Health Care of Atlanta. He is also a Georgia Research Alliance Distinguished Scholar in Human Immunology. Prior to his arrival at Emory, he was Chief of the Division of Immunology and Rheumatology at the University of Rochester in Rochester, New York where he also served as Director of the University of Rochester Program for Biodefense of Immunocompromised Populations from 2006-2011 and Director of the Rochester Center for Translational Immunology and Infectious Diseases from 2009-2012. Dr. Sanz is a member of the Discovery and Developmental Therapeutics research program at Winship Cancer Institute. He is also a member of the Immune Tolerance Network Steering Committee and Chair of the Autoimmunity Centers of Excellence Mechanistic Studies Committee. He was a member of the National Institute of Allergy and Infectious Diseases (NIAID) Allergy and Immunology Study section and has also participated in multiple special review panels and ad-hoc reviews. He has been an invited participant in special workshops on immunotherapy, HIV and type 1 diabetes. Dr. Sanz earned his medical degree at University of Santander Medical School in Santander, Spain. He completed his residency in internal medicine at the National Center for Medical Research in Madrid, Spain. He then went on to a postdoctoral fellowship at Southwestern Medical School in Dallas, Texas and completed his training with a fellowship in rheumatology at University of Texas Health Sciences Center in San Antonio, Texas. Dr. Sanz's research interest is in understanding how the immune system goes awry in autoimmune diseases and ends up attacking our own tissues rather than concentrating on fighting infections. In particular, he is very interested in understanding the roles played in autoimmune diseases by B cells and their effector progeny, the plasma cells responsible for producing the autoantibodies that in many cases cause the disease. His research concentrates on systemic lupus erythematosus, but he is also investigating other autoimmune diseases such as Sjogren's syndrome, rheumatoid arthritis and type 1 diabetes. His work also has applications to the enhancement of vaccine responses and cancer immunotherapy.